Bayern Munich are everybody’s favorite to win the German title this season. But, Bayern have been beaten in the championship race in the past. Here is what is important when battling against Bayern Munich for the championship. 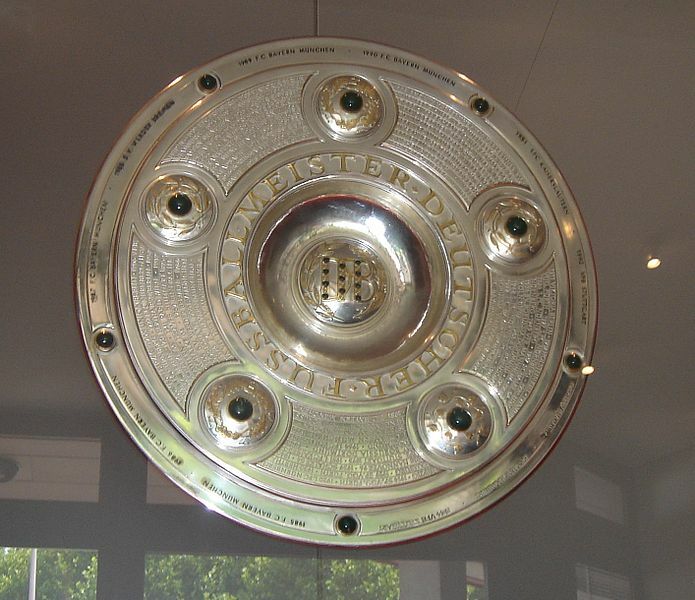 This "lovely" trophy is up for grabs again in the 11/12 season of the Bundesliga. Posted in Anecdotes, Bundesliga, Bundesliga history and tagged Bayer 04 Leverkusen, Borussia Dortmund, Eintracht Braunschweig, Jürgen Klopp, Jupp Heynckes, Klaus Toppmöller, Manuel Neuer, Oliver Kahn, Otto Rehagel, Sepp Maier, TSG 1899 Hoffenheim. Bookmark the permalink. Schalke’s fans do not even care about their club’s poor performance so far this season, all their anger is angled towards Felix Magath’s transfer policy. The iron man himself brushes the off the criticism of his policies, and calls himself a good business man. 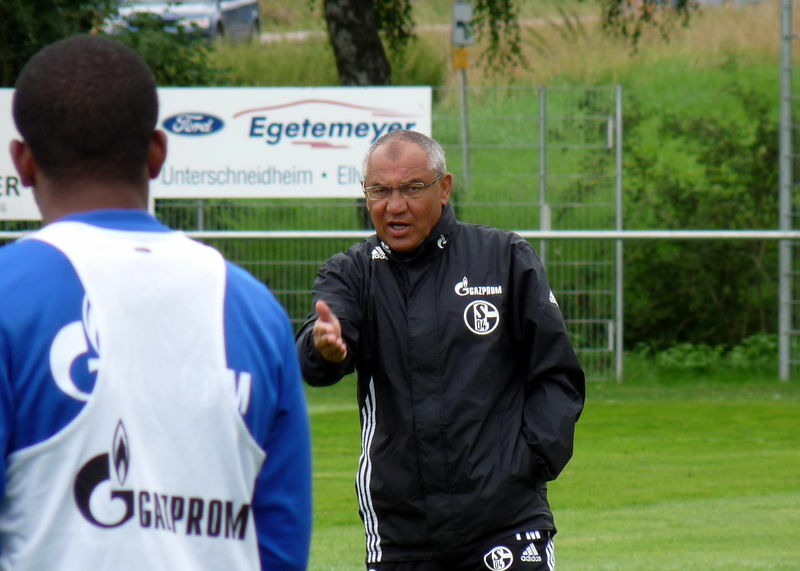 Felix Magath adresses his players during a training session. Posted in Bundesliga, Schalke 04 and tagged Ali Karimi, Angelos Charistaes, Anthony Annan, Borussia Dortmund, Danilo Avelar, Felix Magath, Manuel Neuer, Tore Reginiussen. Bookmark the permalink. Posted in Bundesliga, Bundesliga wrap up and tagged 1. FC Cologne, 1. FC Kaiserslautern, 1. FC Nürnberg, 1. FSV Mainz, ¨, Bayer 04 Leverkusen, Bayern Munich, Borussia Dortmund, Borussia Mönchengladbach, Eintracht Frankfurt, FC St. Pauli, Hamburger SV, Hannover 96, SC Freiburg, Schalke 04, SV Werder Bremen, TSG 1899 Hoffenheim, VfB Stu, WfL Wolfsburg. Bookmark the permalink.